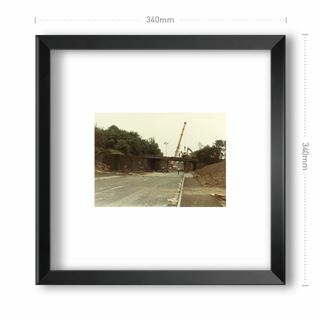 The photographer has his back to the the greyhound stadium and to his left is where the travellers' camp is now located. He is looking towards Netherfield. 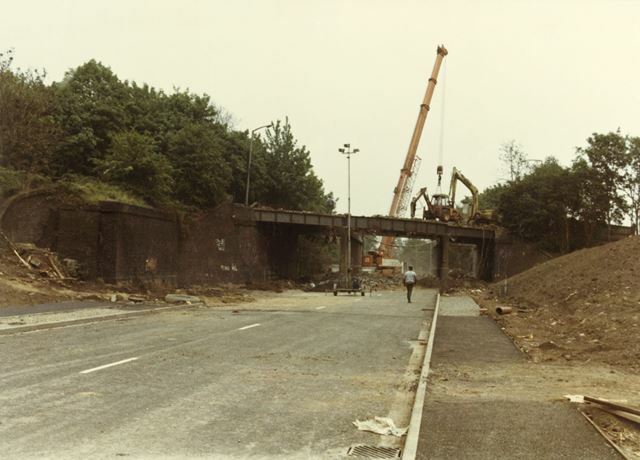 The bridge being demolished carried Colwick Road over the trackbed of the former Great Northern Railway (LNER after 1923) which ran from Nottingham Victoria to Grantham via Netherfield. The line closed in the mid 1960's when the Grantham line was connected to the Nottingham to Lincoln line at Colwick. 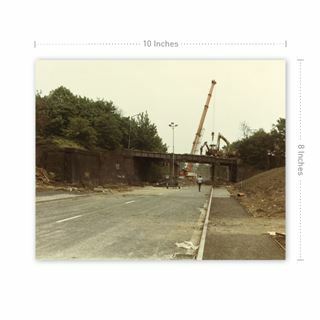 Daleside Road was extended from Racecourse Road along the trackbed of the old line leaving Colwick Road as two unconnected parts either side. 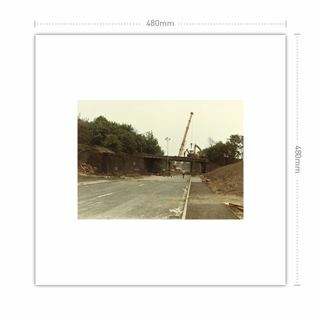 The road bridge was removed over a weekend and the Daleside Road extension then opened. 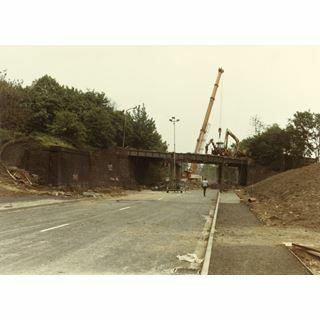 There was a station at Colwick Racecourse located adjacent to Racecourse Road; Greyhound statium side.